Why Do We Love Muscle? Have you ever wondered why humans love muscle? Why do so many people go out of their way to build more muscle mass, and why is it so hard to look away from a person who is heavily muscular and lean? Some might say that it is our culture, Hollywood, or some other nurture over nature reasoning. This explanation is all fine and dandy, except for the fact that there are no cultures on planet earth who do not appreciate and admire muscles. The true reason behind our love for muscles is actually quite simple when you stop and think about it. We feel this way about muscle for the same reason that we tend to relate heavily overweight people with being lazy and or sloppy. Whether we like it or not, our brains understand and recognize the circumstances leading to, as well as the advantages or disadvantages to being either obese, or lean and muscular. Muscles represent power, speed, health, discipline, work, and enhanced capabilities. In regards to choosing a person to procreate with, muscle represent health, ability to provide and protect, and good genes to be passed on to one’s offspring. Simple as that. Years ago, I enjoyed watching a television show on The Discovery Channel which featured elite athletes from all different sports, who were pitted against each other in obscure tasks and games all around the world. Unfortunately, the name of this television show has since escaped me. These athletes, which included a motocross racer, a boxer, a quarterback, a strongman/bodybuilder, a runner, and a couple others, were sent around the world to un-Americanized, secluded tribes and colonies to partake in their native “sports” or “games”. Before the games would begin, these athletes would meet the tribes people, interact with them, discuss the events, as well as perform any welcoming rituals said tribe may partake it. The first order of business was for the tribe leaders to analyze these athletes, give their first impressions and discuss them amongst one another. The reason I bring this up is the reaction these people had to the bodybuilder-esk athlete, who was probably around 5’11” and a lean 260 pounds. These people, many of whom probably had never seen a car or television in their lives, were absolutely enthralled by the mere image of this man standing before them. It was not uncommon for the tribe leaders to go directly to this guy, ignoring all of the other athletes, and start touching his arms and shoulders, excitedly discussing what they were seeing in their native language. Beyond this superficial intrigue, they would also ask him to lift logs and large rocks for their entertainment and to see just what he was capable of. The positive reaction to this impressive physique did not stop there. Some groups of people, or “tribes” if you would, would give him his own hut, while the other athletes had to share one, extra or special food, assume he was part man part God, ask him to do things for them, or even give him women! All the while, they more or less treated the other athletes just like any other outsider who would be visiting. They could care less about these “normal” looking athletes, or their specific talents. As mentioned above, the people living in these tribes, who had never even been to a developed country or seen a Hollywood movie, were able to appreciate what muscles represent, seemingly better than even we do. This flies in the face of the idea that our obsession with muscles is something our modern society teaches us. 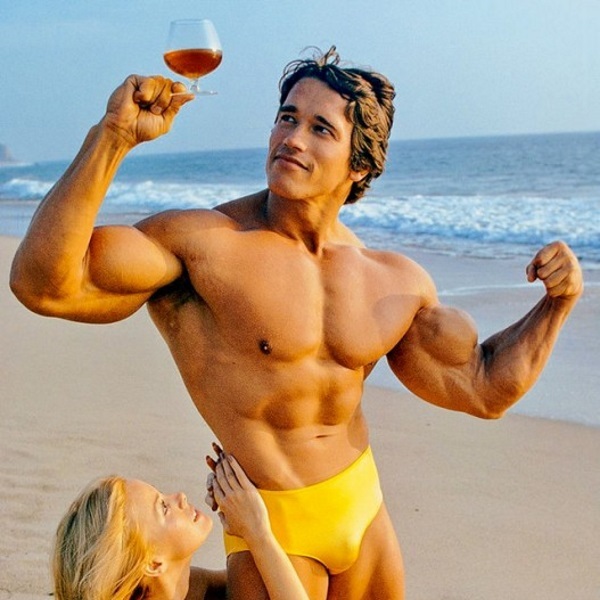 This same instinctive appreciation for muscles can be exemplified through men and woman of great power, who have seen and done pretty much anything they have ever wanted to. What I mean by this is: Imagine a room full of thirty or so people that included Barack Obama, Donald Trump, Tiger Woods, Jennifer Lopez, Bill Gates, P-Diddy, Lee Priest and Flex Wheeler. Assuming Lee and Flex are in their prime for this example, if the room became too warm and they removed their outer wear down to a tight T-shirt, they would immediately become the topic of discussion, with all eyes on them. Even with all of these ultra famous and wealthy people around, one would not be able to refrain from staring at Lee or Flex in utter amazement at what they were seeing. Can you think of anything else one could do to attract such attention in such a star studded room, short of pulling out a gun, screaming at the top of their lungs, or some other ridiculous example? No amount of wealth, power, or beauty can draw stares the way that a supremely muscular body with extremely low body fat levels can, assuming you are looking only at the individual and not his or her belongings. Now, there will always be people who claim to not be attracted to muscle, but people lie. In fact, lying might be the greatest and most utilized skill in the human race. People love to make themselves sound or appear different than the “norm”. However, in regards to evolutionary ques that nature has ingrained in our brains over many millenniums, I am here to inform you that you are not any different than 99.8% of the human population. You can say that you are not attracted to muscular men all you want, but you aren’t fooling me, and more importantly, you aren’t fooling mother nature. This is really no different than saying you aren’t attracted to strong, healthy men who are better equipped to provide and protect, but rather, you are more attracted to frail or fat men who appear less healthy and less capable of providing. I’m not buying it. With this in mind, I would make the argument that our society has had the opposite effect on us in regards to how much we revere muscles and or people in fantastic shape. Over time it becomes more and more “normal” to be fat and out of shape, and many people, especially women, are attracted to men of great wealth or fame, as opposed to men who are built a certain way. That said, all other things equal, lean, muscular men and woman will always be more attractive to others then their out of shape counterparts. This reality will never go away, no matter how many fat woman call muscular woman “manly” or how many “it’s okay to be fat, beauty is on the inside” organizations our often-pathetic society creates. So just get used to it. This may seem like an archaic way of looking at human attraction, but again, I completely disagree. There is nothing “modern” or “civilized” about completely ignoring the health, responsibility, genetics, and enhanced capabilities that accompany muscles, when choosing a person to reproduce with. I think that “stupid” would describe such behavior much better than “modern”. This is not to say that physical looks are all that matter, not by a long shot. In fact, in the grand scheme of things, they often matter very little. However, to say that muscles are not attractive, or that you are not attracted to muscles, is just foolish. You might as well claim that you do not require water to survive.